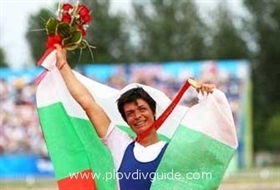 Bulgaria's best rower, Rumyana Neykova, won the first long-awaited gold medal for the country at Beijing Olympic Games in the the Women's Single Sculls on Saturday. The Olympic title is the first one for Neykova, 35, in her 22-year career. She grabbed the precious medal in Shunyi, finishing in 7:22.34 to hold off Michella Guerette of the United States by 44 seconds. Bronze went to Neykova's main rival Ekaterina Karsten of Belarus, who crossed the final line in 7:23.98.